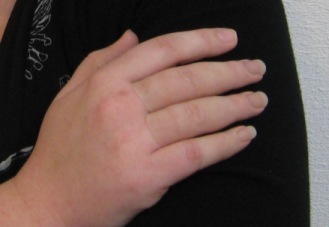 Blog Can Sensation be Restored by an Artificial Finger? Can Sensation be Restored by an Artificial Finger? 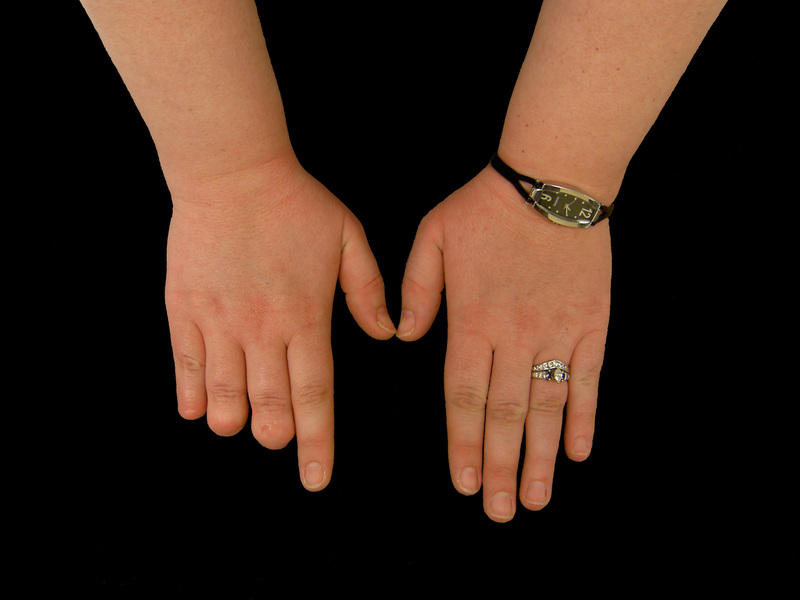 This client had three partial finger amputations due to trauma. She received three partial finger prostheses and immediately was able to accept and adapt to them. The ability to perceive the sensation that she speaks of is called PROPRIOCEPTION. An analogous example in sport that may help to understand the term would be a tennis racquet (or other instrument / apparatus) that is used to strike or propel another object (ball). The player can feel the racquet strike the ball although the player never touches the ball with her hand. The sensation of striking the ball travels through the racquet to the hand. In fact the player can feel the difference when it strikes in the sweet spot or on the edge of the strings. This is a new learned feeling and is proprioception. Restoring a body part that will touch and “feel” when performing a task is again proprioception. The individual will regain their original “reach” that they had before the amputation and restore them to many of the activities (possibly with some limitations). Relearning spatial awareness is a normal outcome of proprioception. Is it possible to quantify the benefits of a finger prosthesis? Certainly, the aesthetic value is high—it serves in a psychosocial sense by restoring body image. However, this is not the only purpose. The active function that a finger prosthesis yields is a natural outcome resulting from the restoration of the upper extremity. Hands are visibly used in conversation, daily activities and work. The fingers intuitively adapt to their environment through proprioception. The feedback provided is quickly adapted to because the brain had previously trained the fingers to sense its spatial orientation. The prostheses are merely providing the extension that the hands are expecting to operate within. Certain functional tasks, including grasping, pushing, and pulling, are restored with varying degrees of success. The ability to type again may be one of the most fulfilling benefits of a finger prosthesis, depending upon the capability of the residuum.